Treat yourself to something special while vacationing on the Outer Banks. From Corolla to Hatteras Island, you'll find a variety of clothing shops, beachwear stores, and boutiques. Outer Banks shopping ranges from economical t-shirts and bathing suit cover-ups, to high-end purchases such as designer bags and jeans. Outer Banks stores include familiar brandname outlets, as well as unique locally-owned boutiques. 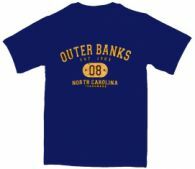 Try some Outer Banks shopping on for size! Click on the links below for a list of clothing shops in each area of the Outer Banks. Northern Beaches include Corolla and Duck. Central Beaches include Southern Shores, Kitty Hawk, Kill Devil Hills, and Nags Head. Hatteras Island includes the villages of Rodanthe, Waves, Salvo, Avon, Buxton, Frisco, and Hatteras Village. 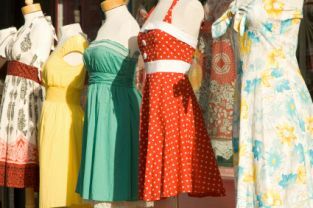 A variety of clothing shops and boutiques are located within minutes of our Outer Banks vacation rentals . One of the largest selections of swim wear, cover-ups, Outer Banks clothing and accessories can be found at Birthday Suits. Filled with beach remembrances, Pandora jewelry, Vera Bradley, resort wear for women and men and home decor. Offering outstanding selection of unique clothing, accessories, and gifts at affordable prices. With several locations from Corolla to Nags Head, Gray's Family Department Store has something for everyone. 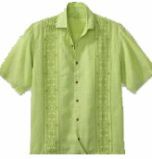 They carry a large selection of clothing and gift items and feature major brands like Tommy Bahama and Vera Bradley. Island Revolution is a lifestyle clothier with the active islander in mind. From surf & skate boards to Sun Bum & Sanuk. Board shorts, swimsuits, and more. Kitty Hawk Kites offers a wide range of products. Clothing, accessories, gifts, toys, beachgear rentals, and much more! Mustang Sally's is a ladies clothier of fine apparel, accessories, jewelry and gifts. As the name indicates, Ocean Threads is a great place for beach attire. In addition to clothing and sandals, they also carry sunglasses, body jewelry and skateboards. The best selection of T-shirts, Sweats, Hoodies, & Jackets for men, women, and chidren. Great selection of sundresses, jewelry, tervis tumbler, gifts, OBX sounvenirs, sunglasses, swimwear, & beach supplies. Sound Feet Shoes is the OBX premier shoe store with all the best brands. Comfort, Style, Fit, Selection for the entire family. Beach-shop chain for clothing & gear from swimsuits, T-shirts & flip-flops to toys & souvenirs. Featuring a great selection of swim wear for all ages, Surfside Casual has 5 locations on the Outer Banks. Your unique Outer Banks boutique featuring funky, yet elegant ladies clothing & jewelry. Barr-ee Station, located on the north end of The Waterfront Shops, offers men's and women's clothing, shoes, hats, swimsuits, jewelry and more. In addition to casual women's wear, Confetti Clothing carries home décor and furnishings. The store offers surf gear, beach wear, and rentals ---bathing suits, shorts, shirts and dresses, pants and hoodies, fat tire beach cruisers, kayaks and surfboards. Specializing in wearable art, all of Donna Designs' clothing is hand painted locally. They also have a fantastic selection of accessories. Flip Flop Shops is the authentic retailer of the hottest brands and latest styles of flip flops and casual footwear. They sell flip flops, shoes, sunglasses, Sun Bum suntan lotion, PuraVida bracelets and more! At Islands by Amity you will find a selection of clothing, jewelry, and home décor that ranges from elegant to exotic. They carry brands like Michael Stars and Juicy Couture as well as locally made items. For a variety of European inspired fashions, visit Lady Victorian. They also carry a variety of home accessories. A Lilly Pulitzer Signature Shop, Life's a Beach, offers a large selection of women Outer Banks boutique's, men's and children's clothing. They also carry gifts and home décor. A branch of Carolina Outdoors and Kitty Hawk Kites, this store focuses on the "Life is Good" brand, featuring exclusive items with their logo. 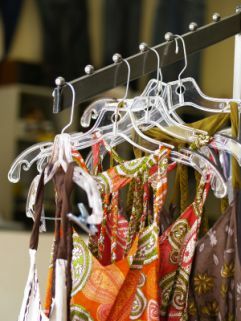 This boutique carries an eclectic mix of women's fashions and accessories. A fanciful little boutique, Plum Crazy features a wide array of clothing, gift and accessory items for the diva in all of us...and our homes. Many of their items are one-of-a-kind and hand crafted. A great place for discounted, name brand clothing, local art, home decor, and more. A great boutique for all the current trends, Miss Lizzie's Ladies' Apparel has a large inventory of stylish clothing and unique jewelry and accessories. Even if you don't need to try anything on, check out their fun dressing rooms! Your one stop, discount shop. Open 24 hours. Department store chain with brand-name clothing, accessories & cosmetics, plus housewares. Honey & Hive Boutique helps you effortlessly cultivate this look with their selection of women’s apparel and accessories. Put together outfits suitable for a range of occasions, whether it’s the office, date night, wedding, holiday gathering or simply the everyday. Mom's Sweet Shop is an electric mix of clothing, furniture, and more. From street, skate, vintage and dead stock clothing to vintage furniture to locally made items such as jewelry, art, candles, soaps and more. Sunsations has a great assortment of t-shirts, apparel, footwear, swimwear, beach chairs, towels, souvenirs, beach toys, surf gear and more for the entire family. They offer everything you need for surf, skate and style. The shop stocks a ton of surf-brand clothes and t-shirts for men, women and children. Cheerful shop featuring colorful, contemporary casualwear for women, such as skirts & rompers. A unique boutique offering the latest in fashion, jewelry, gifts and home decor. Beach shop selling swimwear, towels, clothings, sandals, Souvenirs and more. T-Shirt Whirl has a large selection of affordable, imprinted sportswear. They feature over 400 designs - many of which are customizable - or you can design your own! Retail chain featuring stylish brand-name apparel, shoes & accessories, plus housewares. Clothing stores include: American Eagle, Banana Republic Factory, Carter's Baby & Kids, Dressbarn, Eddie Bauer, Gap Factory, Hanes Brands, J.Crew Factory, Michael Kors, Nautica Factory, Polo Ralph Lauren Factory, Rack Room Shoes, and Talbots. Charlotte's is a full service ladies boutique located on the Waterfront in downtown Manteo. Their fashions are traditional with a contemporary flair. Nest offers carefully chosen goods for fine living, including ladies’ clothing and jewelry, fragrances, home decor items, and kitchen and dining accessories. Boutique offering an array of women's clothing as well as accessories and gifts. You can find everything from casual active wear and sunglasses to flirty, upscale dresses and unique jewelry in Isabelle's Closet! It is a one of a kind clothing and accessory shop connected to the Sandy Bay Gallery. Anything you will need for the beach - clothing and swim wear, chairs, towels, rafts and toys - can be found at Reef. With several locations on the Outer Banks, Reef is also a great place to pick up souvenirs or get a henna tattoo. T-Shirt Whirl has 2 convenient locations and a large selection of affordable, imprinted sportswear. They feature over 400 designs - many of which are customizable - or you can design your own!